Barcelona Andorra Airport Transfers Company provides chauffeur driven minibus service, private cars, limousines and taxi Mercedes Andorra. 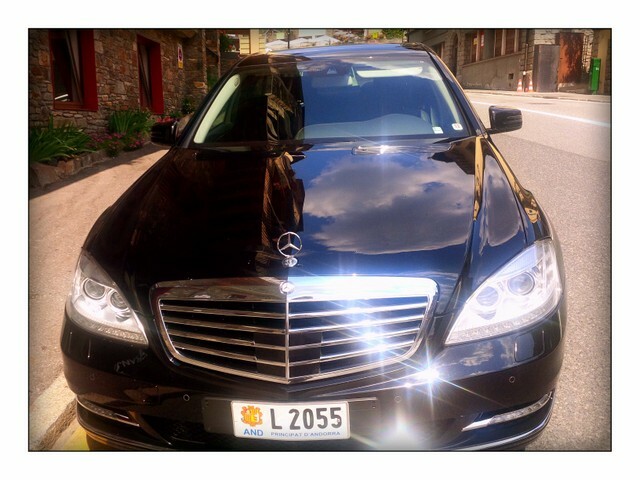 If you look for Taxi Mercedes Barcelona Andorra we’ll make you the best offer ever! Many of our clients look for a luxury car and reliable transport on their airport transfers or trips we work always with Mercedes Class and Luxury Viano Mercedes Van. The best our goal is that we offer you not only the vehicle itself but a perfect private chauffeur service at a very reasonable price. You’ll have your Taxi Mercedes Barcelona Andorra everywhere you want and always on time. Call us now: Phone: +376321686 http://www.limusineslara.com . Mercedes Viano Andorra, Andorra Barcelona Minibus Services. Mercedes Viano is always a symbol of luxury among the vehicles of its class. It’s very comfortable it is appropiate for any necessity – business trips, sightseeings in Andorra or just Barcelona luxury minibus services. The interior of Mercedes Viano Van offers bi-zone climatronic, leather seats, wifi connection etc. Of course, you’ll get a perfect private chauffeur service and personal attention from our experienced drivers. Enjoy your trip to Andorra from Barcelona.